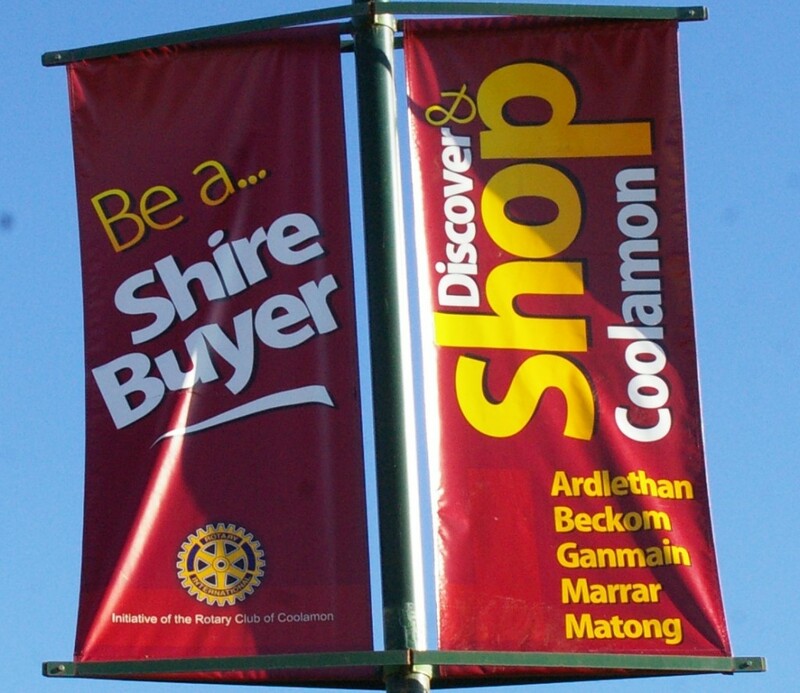 Some of the the members of Coolamon Rotary came up with the idea of promoting the Coolamon Shire from a local point of view. 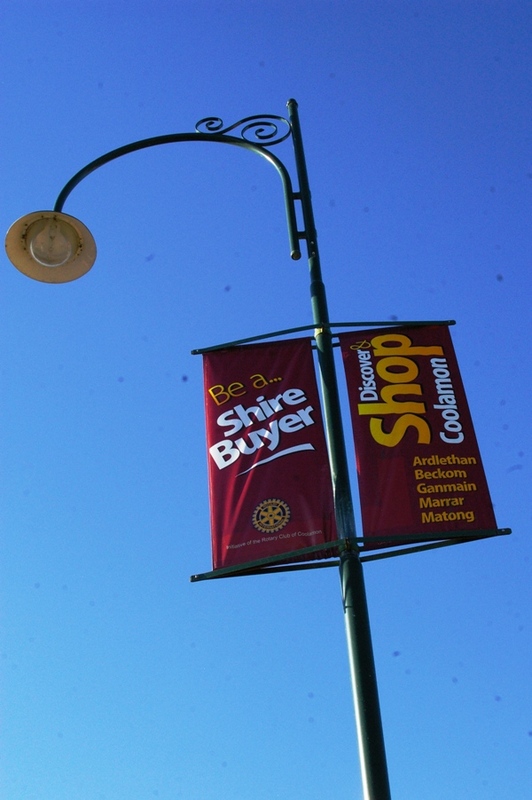 What is intended by this project is to encourage those who live in the Shire to shop locally and support the Shire's many and varied enterprises and services. 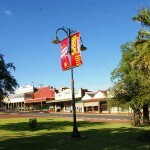 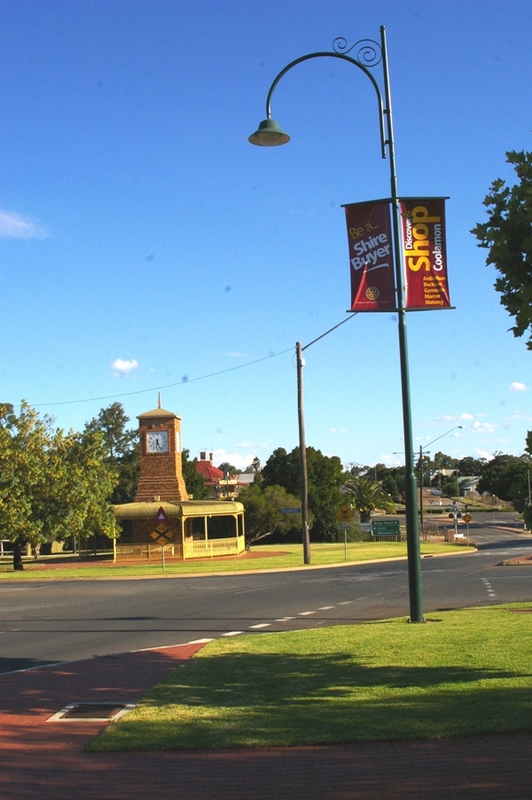 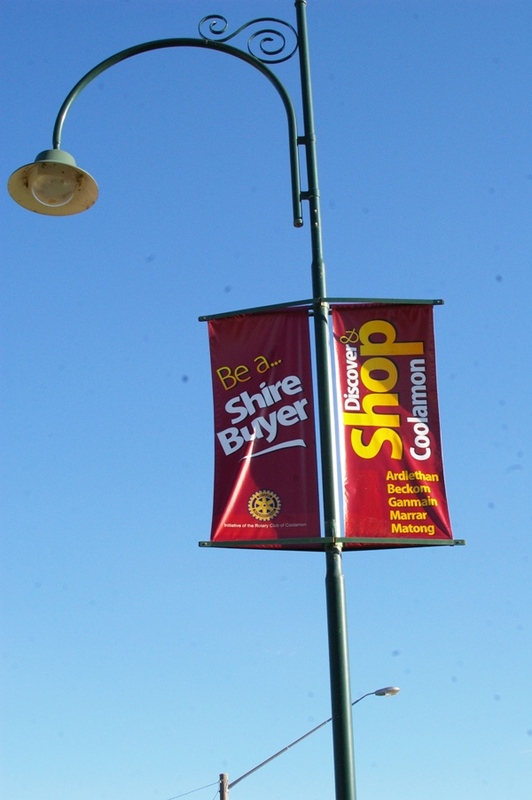 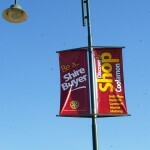 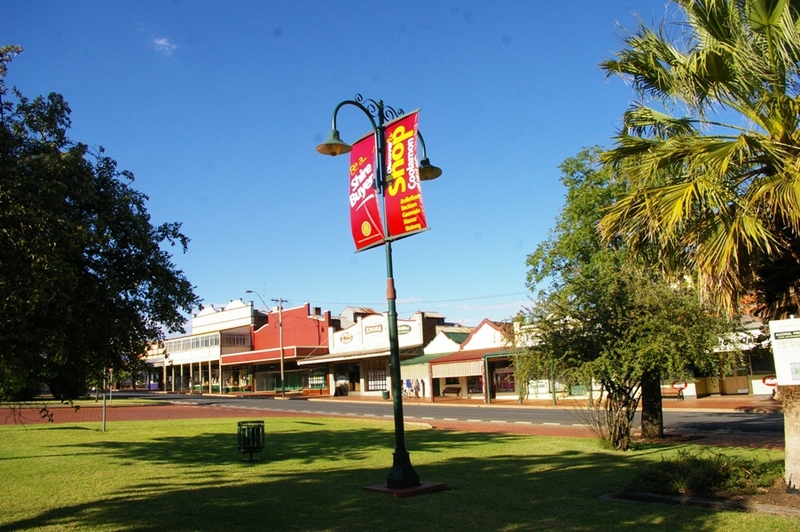 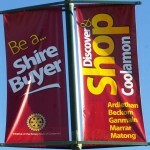 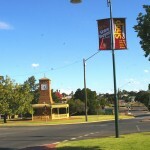 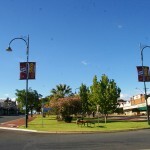 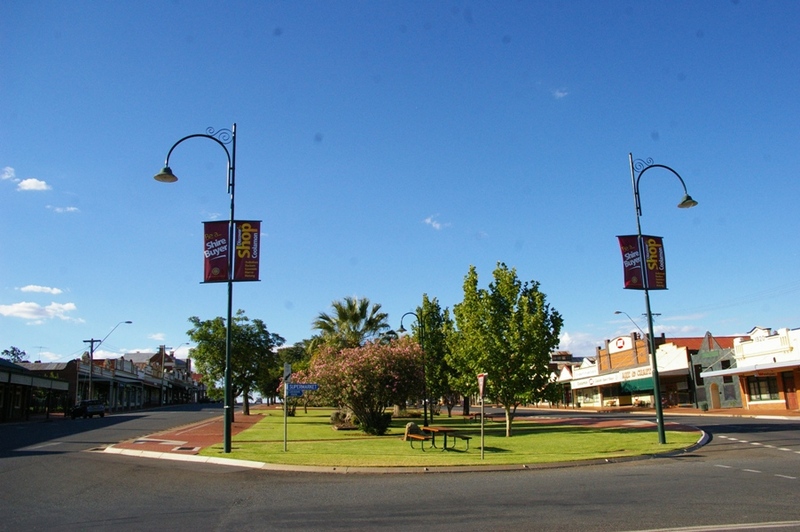 Stage 1 was to put up display banners in Coolamon, Ganmain and Marrar. 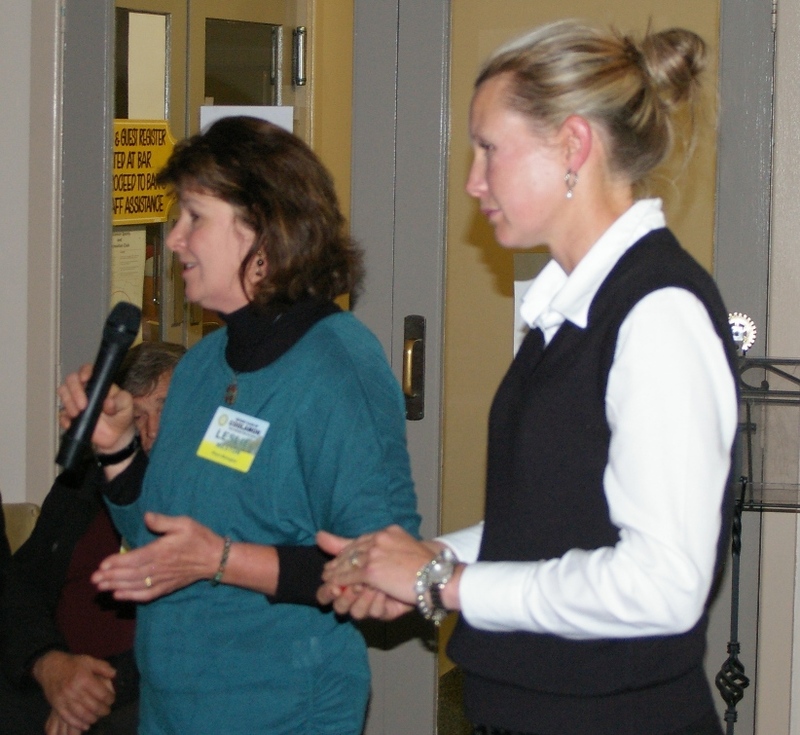 Stage 2 was to hold dinner meetings to introduce vested owners and operators to each other. 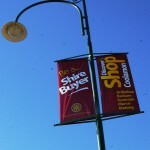 Stage 3 was a dinner on how to use the Internet and promote local business through the web.